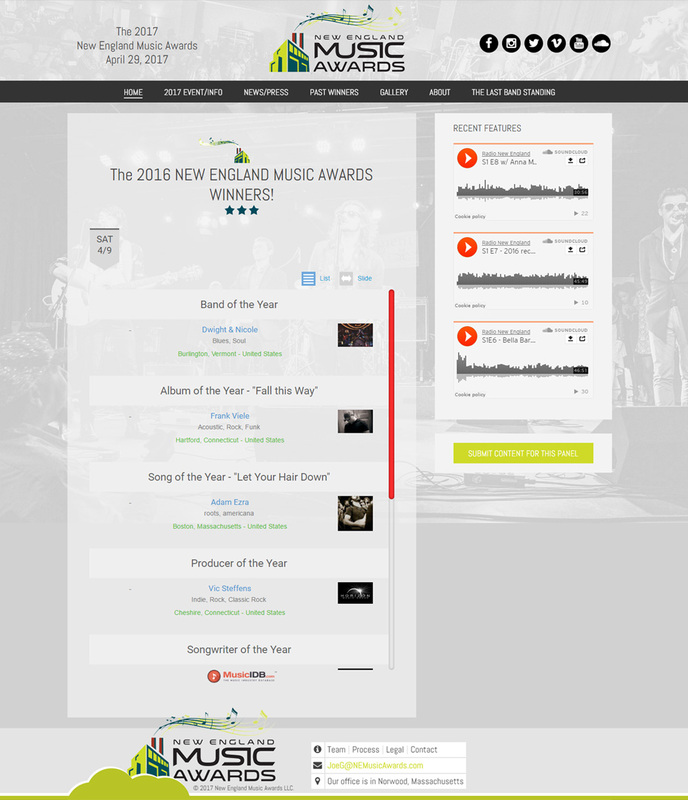 Initially built for the Lowell Folk Festival, the largest free folk festival in America. 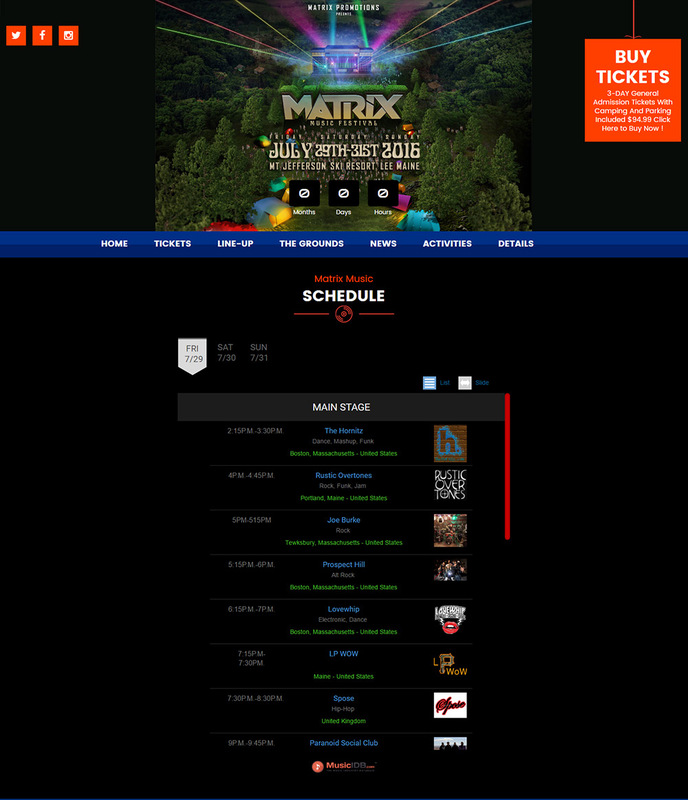 Their festival needed the flexibility to present artists from across the globe on seven stages over three days. 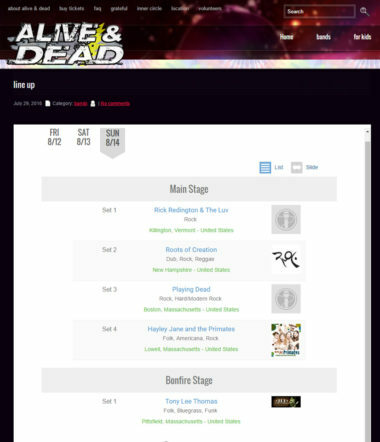 Easy Drag and Drop interface mixed with a set time generator or ability to use custom set times so you can position artists on the bill as quickly as you can think of it. 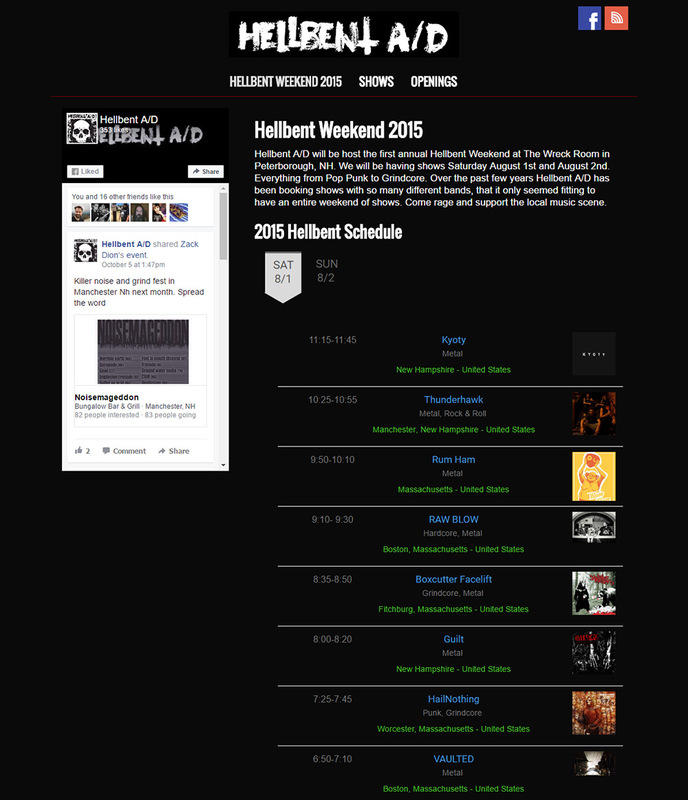 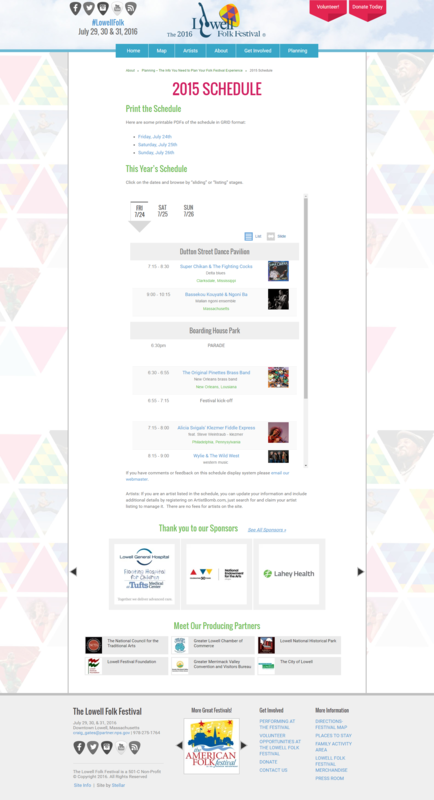 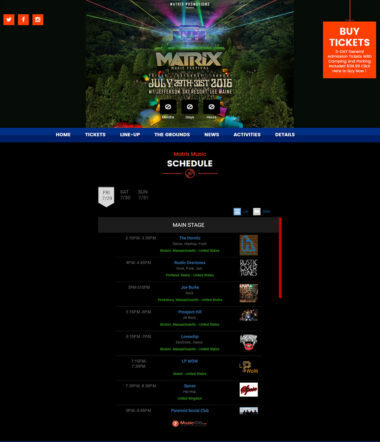 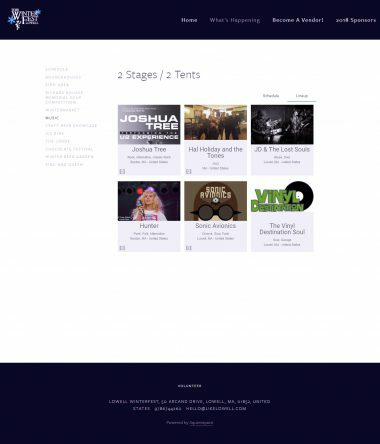 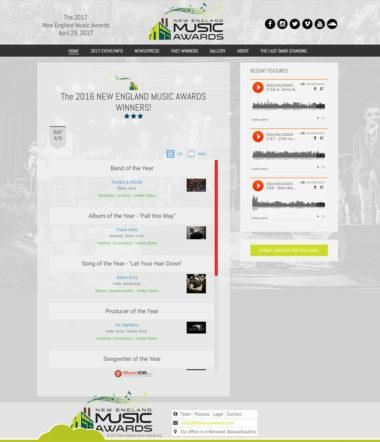 When you embed the Festival Schedule “widget” to your website, it’s powered by MusicIDB.com, so you can continue to drag and drop artists as needed knowing your website will always be up to date with the latest changes. When artists inquire or express interest in performing at your festival, they are lined up on the events page so you can consider the differences and who you’d like to choose to play the event. Keep track when artists report in before the event on Event Records screen of your festival.